List Rules Loyalist Space Marine Chapters only, no Traitors! Who of the emperor's children will survive the imperium's voting? Which chapter holds the majesty of the people, whose colours will adorn the throne room of the universe’s God king? Which chapter deserves to be thrown to the depths of space to further prove itself against the Xeno’s? Here listed are the best Loyalist Space Marine Chapters of the Warhammer 40k universe (traitors not included, but they do have their own list). Vote on the best colours, the most interesting back story or just your childhood (or adult!) favorite. Add any Chapters you feel are missing from the best of list. All text and images from the awesome Warhammer 40k Wiki. Also, now vote for your Favorite Warhammer 40k Race! The Blood Angels are one of the 20 First Founding Legions of the Space Marines. They are well known for their bloodthirsty nature in battle, and feared for the curse of flawed gene-seed they carry. 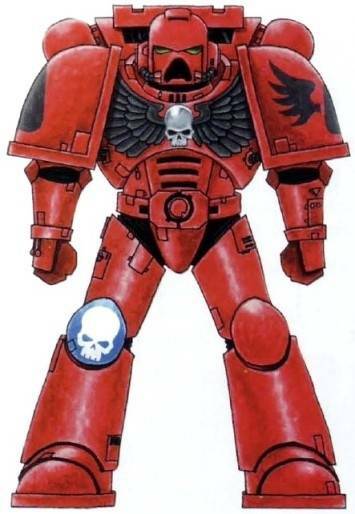 The Blood Angels are among the longest-lived of the Chapters of the Adeptus Astartes, with some of their Space Marines having served the Emperor of Mankind for over a thousand standard years. The Space Wolves are one of the original 20 First Founding Space Marine Legions, and were once led by their famed Primarch, Leman Russ. 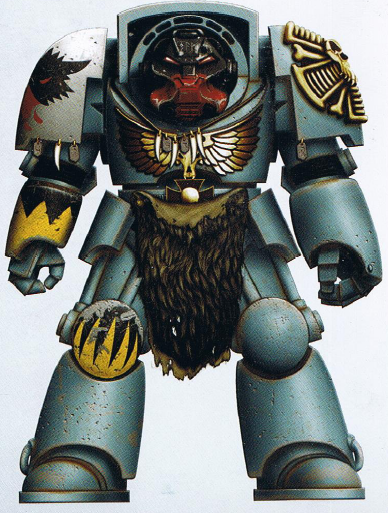 After the Horus Heresy and the resultant Second Founding reforms of the Adeptus Astartes, the Space Wolves Legion was divided into two Chapters: the new Space Wolves Chapter, which was not compliant with the dictates of the Codex Astartes and retained the name of its parent Legion, and the second Chapter which took the name of the Wolf Brothers. The Salamanders are one of the Loyalist First Founding Chapters of Space Marines. Their homeworld is the volcanic Death World of Nocturne. 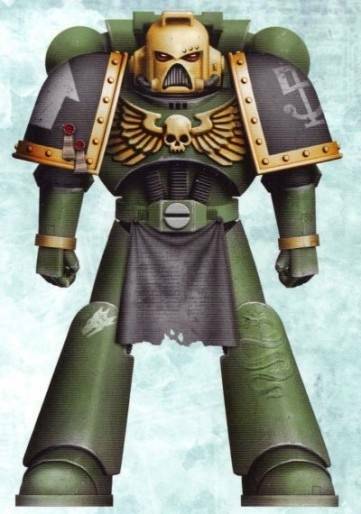 The Salamanders as a Chapter are unusually concerned with civilian casualties compared to most other Space Marines and believe that one of their most important duties is to protect the lives of the Emperor of Mankind's innocent subjects whenever and wherever possible. 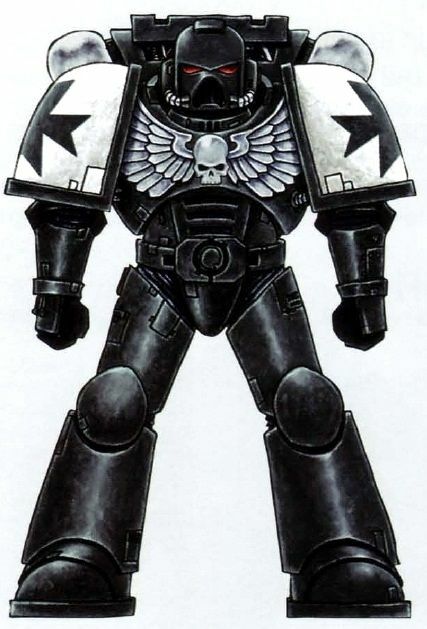 The Black Templars are a Loyalist Second Founding Space Marines Chapter derived from the Imperial Fists' gene-seed and their Primarch, Rogal Dorn. Their origin can be traced back to the Imperial Fists’ defence of Terra during the Horus Heresy. Since that time, the Black Templars have been on the longest Crusade the Imperium of Man has ever known to prove their loyalty to the Emperor of Mankind.